Description:Ciel, who lives with her husband in a rural village, has been stressed in the past as an academy. Combat is an orthodox front view. This is a random collision, but the option allows you to set the collision frequency, and this can be no coincidence. done with the help of "mana", which is obtained by defeating the enemy. The level does not increase automatically. You can level your favorite character. the story unfolds, a choice can be shown to the heroine. The answer at this time will increase or decrease your preferences. Favorable sensitivity can be confirmed by the status of the H menu. The final branch in accordance with the ultimate profitability. 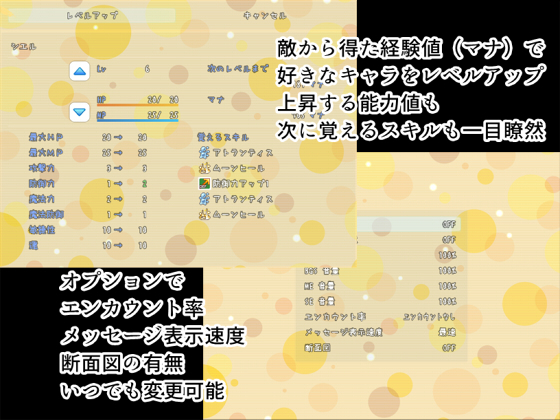 this work has no concept of money, a tool shop and a hotel, and all consumables can be obtained by combining materials with the “Item Composition” on the menu screen. 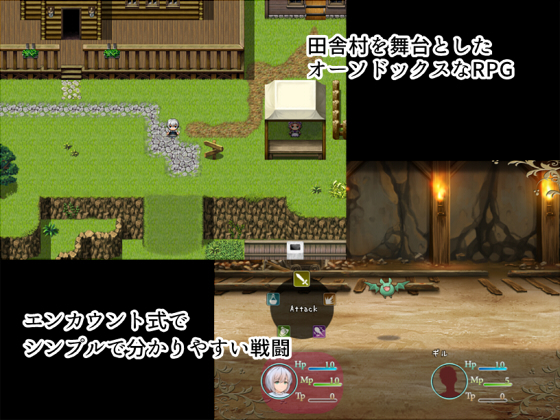 HP · MP Recovery automatically restores everything, returning to the village · town. cave Crystal deformation placed in the cave, and you can in the shortest possible time to identify the place that you visited, to avoid unnecessary movements. Event behavioral goals are always displayed in the upper right corner of the screen, so you will not get lost knowing what to do. You can view a section view in an H event with an insert. Switching is optional. After you saw the event H, you can remember it at any time. You can also start to recall the story before the event H.
H events can be restored by moving the script. After losing a battle, events N do not occur. The contents of the event H - all cuckolds, except for the event H with her husband. We can not avoid the event H with a man, yet. Final 2 patterns. It branches by choosing the last day choice in a state with high affinity.